When you search any term in search engine, you get the results as the links of different sites. Every result has a small text below the link. This small blurb is known as the meta search description. Some sites do not write the search description, so the text below the result doesn’t appear as the description. Blogger has a feature to write the blurb about the site or article posted. Why should you enable Search Description ? The search description is like your small ad of your site or article after the catchy title. People decide to visit site which has the information which they were searching. Search engine description with the complete information about the particular article with search engine optimization keywords can increase the click through rate. As you can see in the screenshot above, when we click top benefits of hashtags, the first link appears is my recent article - 4 top benefits of inserting Hashtags. 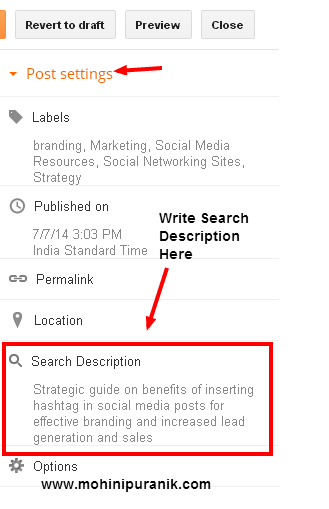 The words, hashtags and benefits are highlighted as they are keywords in the search text. People are more likely to read the description and hence click the link. 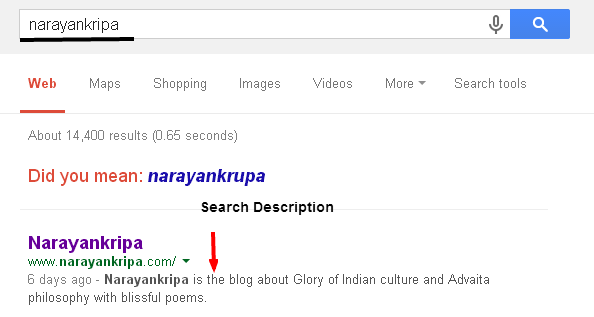 Screen capture below is the search result for Narayankripa which shows the short description about the site. You can add search description in every post. But first you have to enable the option of the search description to work. 1.Log in to Blogger.com. Go to blogger draft. You will see the option - Enable search description. Click on Yes. 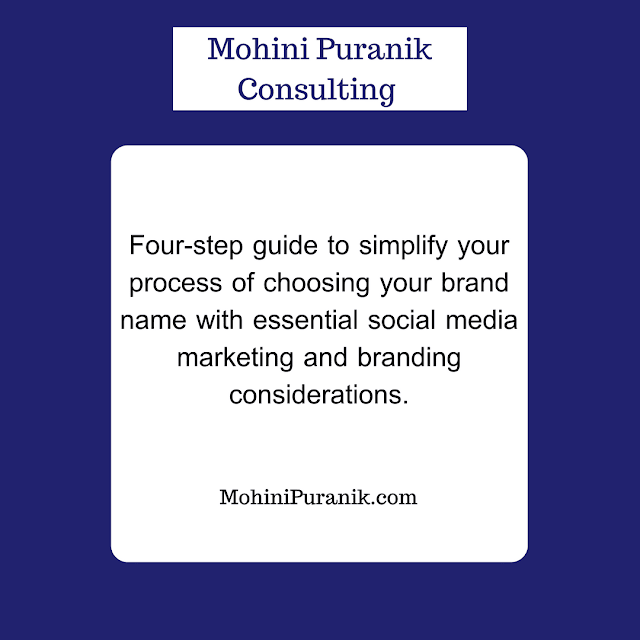 4.Write compelling description about your site in maximum 150 characters. 6.Now click on the Posts. 7.Start new post or edit previous one. 8.On the right side you will see the post settings. 9.Click on the search description option in the post settings. Write a short description of your article including the focus keyword. It gets saved automatically. 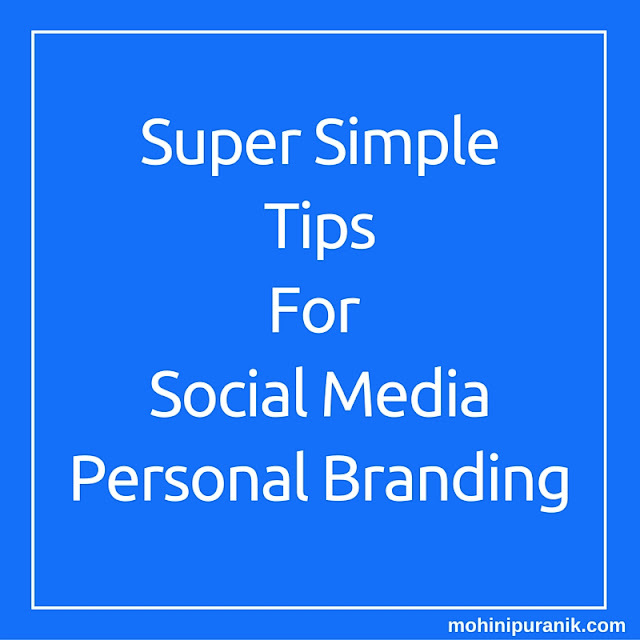 Note: If you write search description for previous posts they may not appear immediately in the search results. Change may take some time depending on Google crawlers. 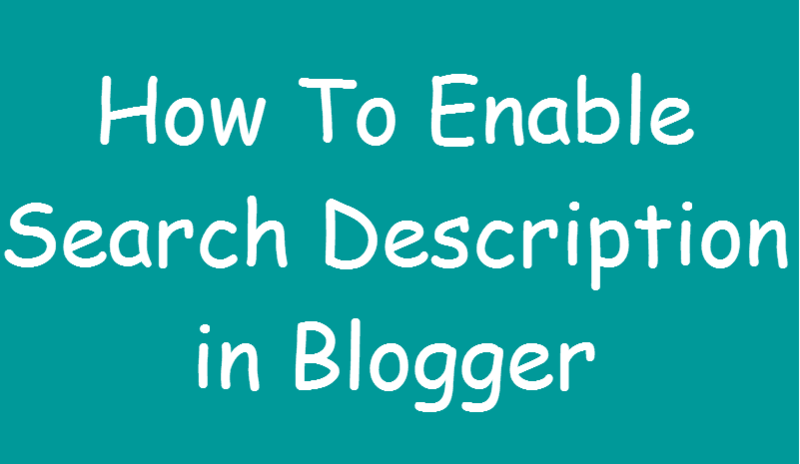 Do share your blog's search result with and without the search description.